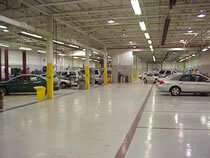 Today's modern factory finishes incorporate multiple layers of highly specialized paints. 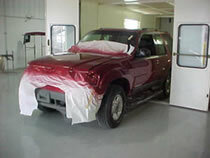 Jack Demmer Collision Center has made a major investment in the PPG paint system available and constantly upgrades its technology and equipment to ensure that each vehicle's paint matches. 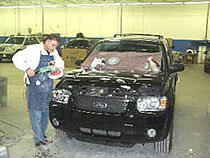 We take special pride in our ability to match factory finishes as the final step in the restoration process. 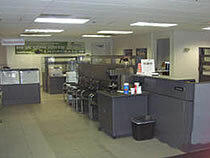 When you walk through the door, you notice the difference. 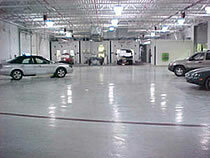 Pleasant surroundings and a comfortable waiting area are not simply construction add-ons. 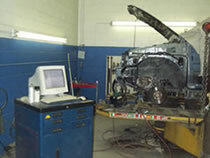 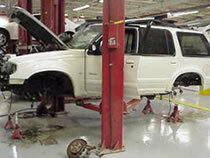 They are part of the total package of services offered by Jack Demmer Collision Centers.